A grade II listed building, The Cotley Inn, was originally a farmhouse dating back to the 17th century. The Cotley Inn sits on the Cotley Estate which has belonged to the Eames family for generations. 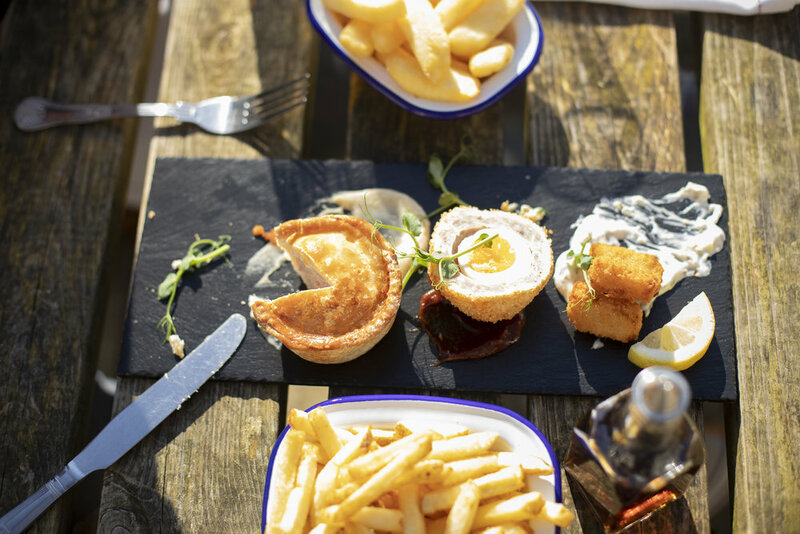 A large percentage of the meat that is served at the pub comes from the estates farm & local shoot, which provides us with our ethos; farm to fork. 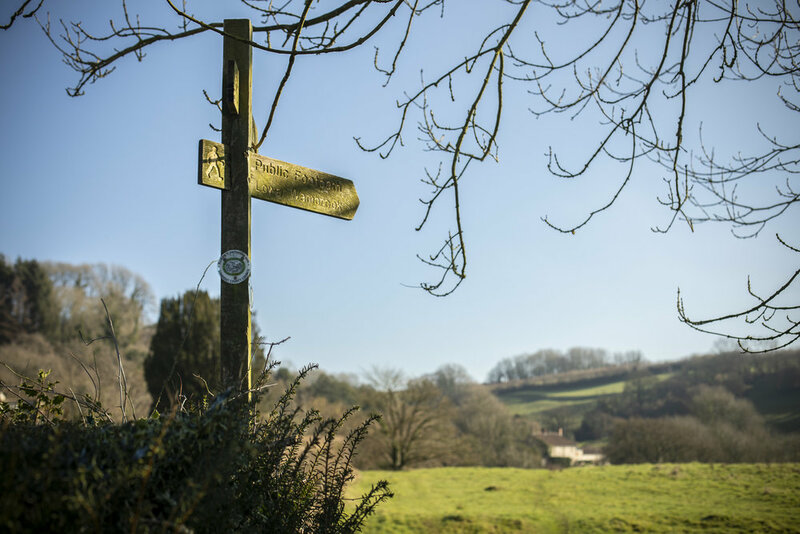 We aim to provide locally sourced, good quality, seasonal food which enables us to look after the local farmers and other small businesses. We have just started work on our vegetable and herb gardens at the rear of the pub which will give our chefs immediate access to seasonal produce that we can grow. Ben and Maddie took over The Cotley Inn in the summer of 2018. Having spent a couple of years living and working in the Canadian rockies they returned to the Blackdown hills where they both grew up and hope to bring the very best of North American hospitality into this quaint inn. 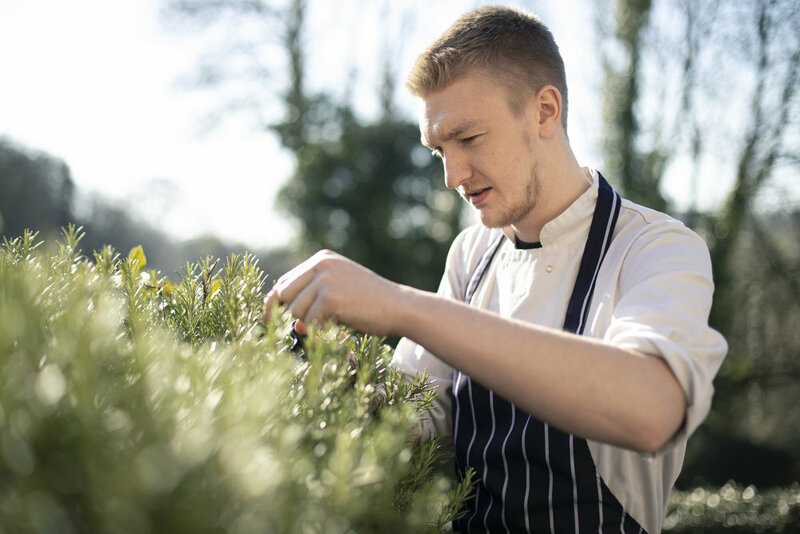 Head chef, Jake Wilde qualified whilst still at school and has worked along the jurassic coast in various fish restaurants. After moving to the Blackdown hills Jake has worked in a number of different credible pubs, pushing for big awards and accolades. Jake creates dishes effortlessly with huge amounts of artistic flare and prides himself on producing ‘high end’ food at ‘sensible prices’ A talented patisser, Jake prides himself on his exuberant deserts. Derrick Riley, German born, spent the last 10 years of his career on the Isle of Wight. Therefore it might seem appropriate that Derrick enjoys enjoys working with sea food. Derrick works well under pressure and has expertise in leading the financial side of running a kitchen. We’ve introduced Derrick to countryside life and he’s been immersing himself in the wonderful world of game!